Our Zack & Zoey® ThermaPet™ Neoprene Boots in Blue don't just look great – they protect dog paws from ice, salt, and snow. 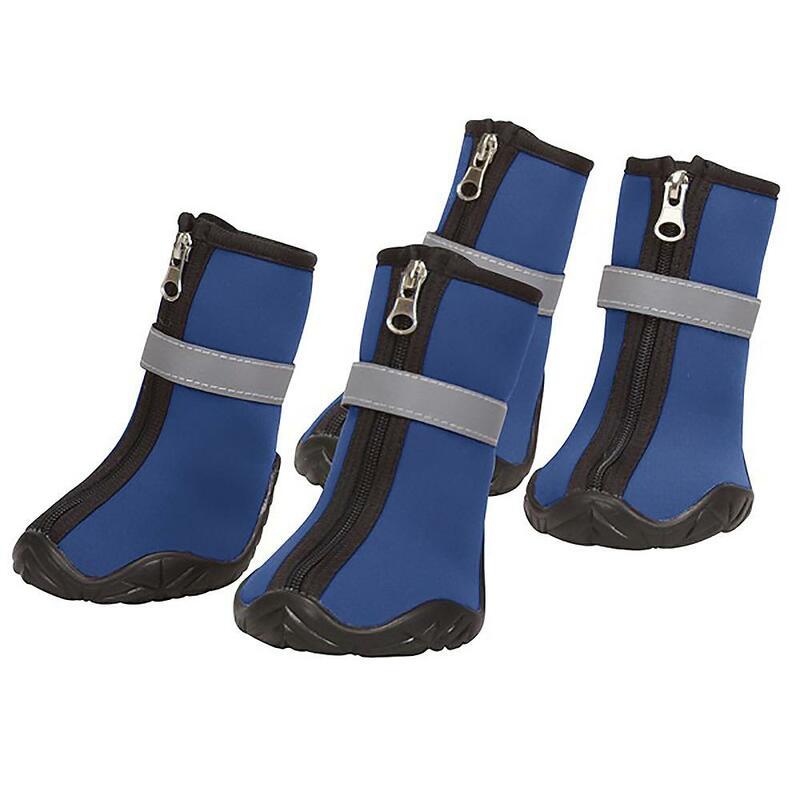 In our overzealousness to protect dogs from the harshest winter elements, we designed the Zack & Zoey® ThermaPet™ Neoprene Dog Boots in Blue to feature special warming technology, strong traction treads, and durable, lightweight soles capable of withstanding temperatures as low as -4 F.
Posted On 01/19/19 by Judy and Bennie from Virgil, Ontario, Canada, Yes, Judy and Bennie recommends this product! 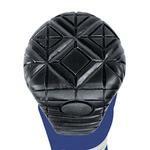 Absolutely delighted with the quality and design of the boots. Unfortunately the XXsmall are not small enough. Our Maltese is fully grown now (20 months old) and weighs in at 7lbs. I was hoping the smallest ones made would fit but that wasn't the case. I have seen some boots that are smaller 0 - 1". 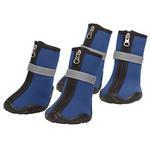 I will order those and hope that they fit and are as well made as the Zack and Zoey boots. Will be returning the boots shortly. Posted On 11/20/17 by Therese C from St. Louis, MO Yes, Therese C recommends this product! Boots are warm runs larger than stated. Had to return item and get a smaller one. The returns (there is none here.) You have to pay to have it send back then you have to go online and purchase another pair and wait for your account to get credited back for the return item. I really,REALLY need these shoes in a xxL or xxxL! These shoes are very light weight,yet made of quality material & they have a great zipper that goes all the way down to the toe. Very easy to slip on,zipper up & it has a reflective Velcro strip that goes around the ankle helping to secure it further. So disappointed I have to return these I could cry. I had a great experience shopping for a new harness for my dog Zack!